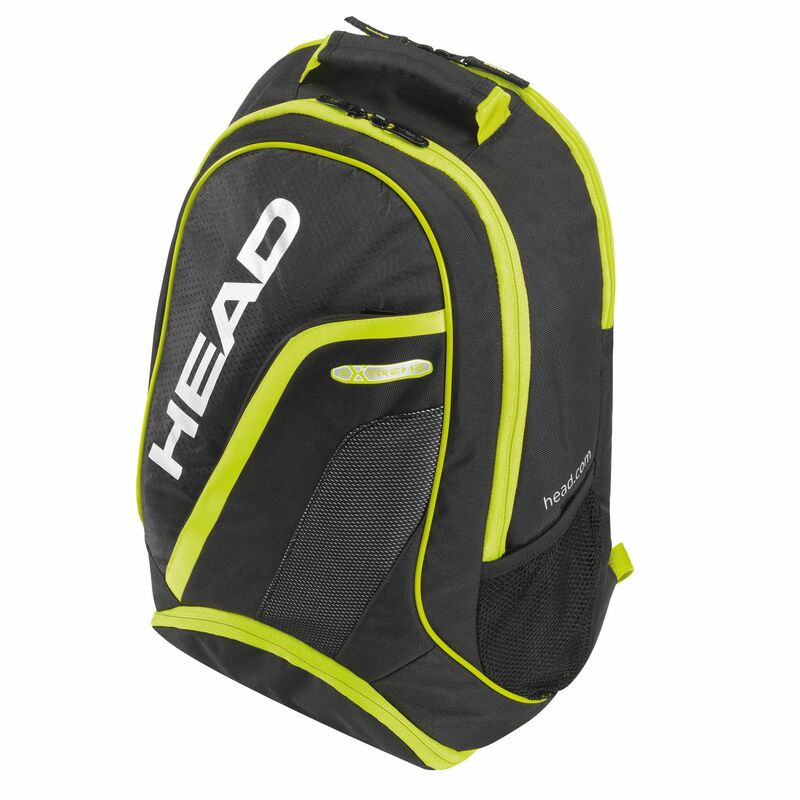 The Head Extreme backpack offers ample storage space in its large zippered main compartment, as well as space for 1-3 rackets in a separate zippered compartment. The backpack also features front and side pockets (also with zippers) that are perfect for keeping all the necessities. Additionally, a ventilated shoe/wet compartment is located on the bottom of the bag. This functional backpack also comes with a bottle holder and features padded back panel. To ensure comfortable carrying, it also includes padded, adjustable and ergonomic shoulder straps and a carry handle. This stylish backpack comes in black colour with yellow insets. for submitting product review about Head Extreme Backpack 2013.